This Boris FX Continuum 11 Software Review by Chris Monlux originally appeared on Videomaker.com. Boris FX’s Continuum 11 is packed full of new features and plug-ins. It’s a great value, depending on what editor you use. Boris FX Continuum 11 is jam packed full of useful and innovative plug-ins. This update sees improvements to existing plug-ins along with some strong additions. Depending on the editor you use, the Continuum suite can be as little as 700 bucks or as much as 2,000 for a new license or between 200 and 700 for an annual subscription. For Final Cut and OFX users, a new license for Continuum 11 is 700 bucks. If you are an Adobe user it steps up to 1,000 dollars and Avid users get the big hit of 1,700 dollars. The most costly option is the multi-host version supported by Avid, Adobe, Apple and OFX for a whopping two grand for a new license or 700 dollars for an annual subscription. Boris offers a free trial of all of their products, so you can download them to try them out and see if you like what they do. If you haven’t heard of Primatte Studio before, you’re missing out. It is one of the strongest keyers out there. Because Boris has integrated Mocha into just about everything they offer, Mocha is now part of Primatte Studio. With that integration, Primatte creates a 3D model for masking, so you can isolate colors and objects for deeper manipulation for the strongest key. If you light well and shoot with the highest bit depth you’re capable of having, you can use Primate Studio to get a great key in one click. Now, for the rest of us who don’t always have the perfect tools for the job, Primatte Studio gives you a myriad of features to dial in a great key from less than perfect footage. It has automatic green or blue screen analysis, so you can start off ahead. We like the on-screen toolbar, which gives you refinement tools and views for comparison. With compare mode, Primatte allows you to see the original source and the keyed version for analysis of what the key is doing to the original. Being able to see before and after side by side is helpful for identifying what negative side-effects the key is having on the image. There are even controls for temperature, tint, saturation, brightness, contrast and gamma without even leaving the plug-in. If you’re creating 360 video, you have probably already run into a problem with other plug-ins: they either don’t work at all, or they don’t work properly. With the VR Unit, you get a suite of 360 video tools. The VR Unit supports 180 and 360 video, plus mono, or stereoscopic viewing. VR Reorient gives you the ability to change the starting view of your video and adds the ability to preview without a VR headset. VR Insert will allow you to insert a graphic or element into 360 space. VR Blur offers 360 aware blur and doesn’t create a seam. When working with consumer 360 cameras, they sometimes can offer a less than sharp image, but with VR Sharpen you can quickly add sharpening to 360 video. Last but not least is VR Flicker Fixer. This removes flicker from video when there are issues with the lighting in your image. Aside from VR tools, another new addition in Continuum 11 is Broadcast Safe. It’s a fairly simple plug-in. You apply it, choose the standard you need keep within and it’s fixed. It is able to conform your video to broadcast standards like EBU 103, PAL and NTSC. It does this by controlling the knee and clip across all color ranges. The last thing new to Continuum 11 are the updates to Title Studio. Updated with a 3D rendering engine for 3D shadows and depth-of-field, you can now use Title Studio to create a spline-based motion path for animating multiple objects on one path. Title Studio can make 2D or 3D titles with bevels, fills and styles. Throughout all of the suite, Boris includes Mocha tracking and masking. Each plug-in uses it in a unique way to either give better control or better analytics for the application of said plug-in. Additionally, Mocha can export the tracking data it makes from analyzing the footage to be used by another program or for another purpose. There are also 40 different drag and drop transition animations included in Continuum 11. Transitions like Swish Pan, Flutter Cut, Fast Film Glow, Light Leaks, Lens Blur or Damaged TV, all with controllable parameters to customize each to meet your needs. Particles Unit is a particle generator capable of generating 3D particles and custom emitters. Say you have a scene that needs rain, but was filmed on a dry day, Particles Unit can easily place rain, snow or even dust in to your image. Going even further, particles are great for motion graphics and VFX work. Say you need to add a comet plummeting down to earth, revealing a title: Particles Unit can create that particle system to be placed in 3D space. Say you need to add a comet plummeting down to earth, revealing a title: Particles Unit can create that particle system to be placed in 3D space. The last notable plug-in included in Continuum 11 is FX Browser. With FX Browser, you can preview a shot with a look filter applied before actually applying it. There are so many different filter options, so the ability to preview the look before you commit to it is a big bonus. 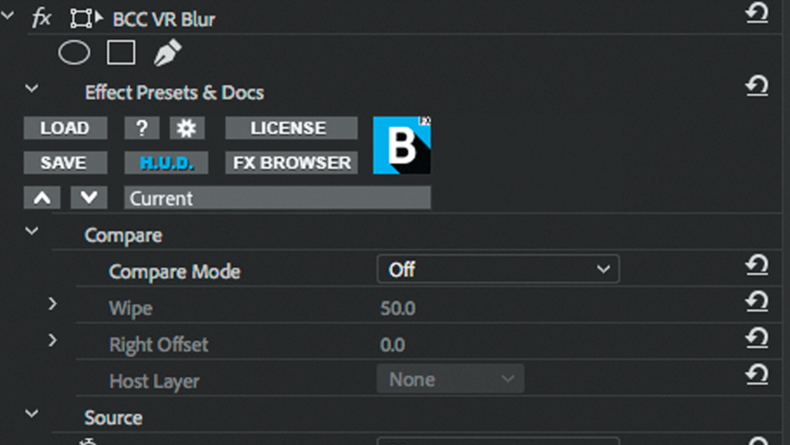 FX browser can be applied like any other plug-in, and then expanded to the full browser. There are loads of plug-in suites out there, and when looking into the marketplace, it’s apparent that each has at least one direct competitor, if not many. Because each suite tries to offer something unique, we’re going to break the suite down to the stand-out plug-ins and compare them, apples to apples, to each other. Starting off with Primatte Studio, Boris isn’t the only Primatte out there. In fact, Boris FX licenses Primatte from Photron. More interesting is that Photron’s offering isn’t what we are going to compare it to. Red Giant also licenses Primatte from Photron for Red Giant Primatte Keyer 5.1. If you bought Primatte Studio outside of Continuum 11 in the Continuum Key & Blend Unit, it would cost you 400 dollars, whereas Red Giant Primatte Keyer 5.1 by itself costs 500 dollars. Both offer the same strong Primatte Keyer; however, their interface is different. Primatte Keyer 5.1 has a more intuitive interface. Although Red Giant might be easier to use, it’s unlikely it would actually perform better than the Boris FX version, especially since the Boris FX Primatte Keyer includes Mocha integration, giving you another level of control over your key. Next, let’s look at Particle generators. Boris FX Particles can be bought outside of the Continuum suite with in the Continuum Unit for 300 bucks. The direct competition to it is Red Giant Trapcode Particular 3, which can be purchased for 400 dollars. There isn’t much of a difference between the two products, so it might be wise to pay 100 less for it and go for the Boris FX offering. 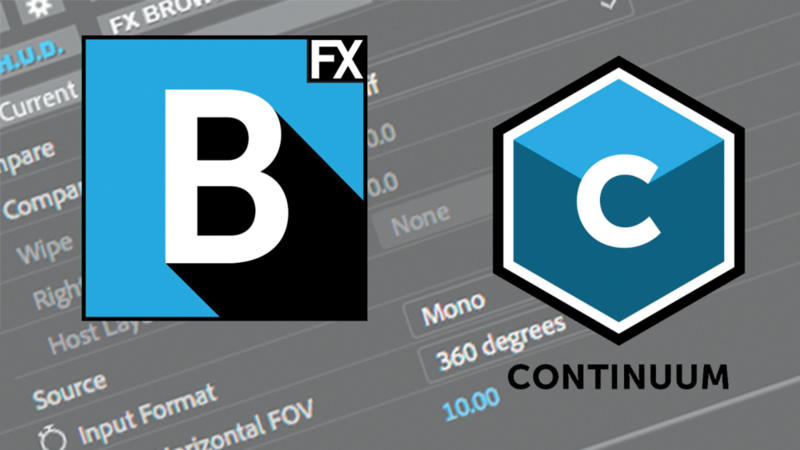 Boris FX has given loads of value to Continuum 11 — that is, if you are a Final Cut or OFX user. Adobe users pay a bit more, but if you’re a Media Composer user, 1,700 dollars may be hard to swallow — though it’s likely you are already used to the added cost of plug-ins. The Continuum 11 suite is full of useful plug-ins and the integration of Mocha is fantastic. If you are in the market for a plug-in suite, Continuum would be a good choice. Graphics Cards: The latest graphics card driver version supported by your host application. A graphics card with a minimum of 1GB of RAM is required; 2GB of RAM is recommended.